There are certain places that kids simply love. From the beach to the park to different attractions around town, your child is likely to get overly excited for at least one of these places. While some children may get more excited about certain locations than others, there is one location that all kids will get excited about visiting — Jumpin’ Jamboree! We may be a bit biased, but we know kids love coming to our indoor inflatable playground. Your kids will get excited every single time you mention our name. At Jumpin’ Jamboree, we know that we can provide your kiddos with endless fun. So, why do kids love Jumpin’ Jamboree so much? That is a great question! 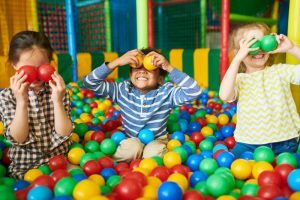 In this blog, we will discuss why our indoor playground is loved by all children and many parents as well! Even if you let your kiddos play from the time they wake up to the time they go to bed, you likely have some rules in your home that restrict their playfulness. Kids want to jump on the couches. They want to climb on the furniture as they pretend the floor is lava. They want to run around without the fear of a parent yelling to stop running from the kitchen. Even if you allow your kids to be kids, house rules affect that slightly. At Jumpin’ Jamboree, we do have rules. However, your child will be allowed to bounce around all they want, climb on our endless inflatables, and play how they want to play. Your kids will truly be able to be a kid when they are at Jumpin’ Jamboree. Not only do kids get to play how they want to play, but they can also be creative while playing at Jumpin’ Jamboree. They can make up different games to play with their friends in our inflatables. They can come up with an intricate and unique maze to race through, they can make up different scenarios in which they have to climb to safety, and they can even play a simple and creative game of follow the leader. At Jumpin’ Jamboree, your kids can enjoy a ton of unique and creative play! They will love it and we are sure you will too. While kids may not get excited about “staying active” they certainly get excited about being able to play in a way that keeps them active. They love climbing, sliding, jumping, and playing on our inflatable playground. While regular parks are fun and a great way for your kids to enjoy active play, our indoor playground gives them something new and exciting to try! How often do your kiddos get to slide own giant inflatable slides? How often do they get to climb through obstacle courses and jump around giant inflatables? 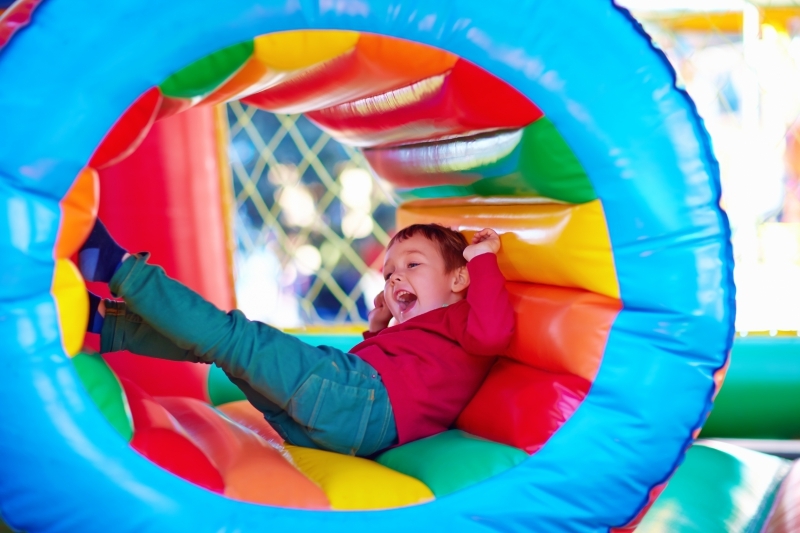 We know that you can simply take your child to a park and have them climb and play, but there is something special and exciting about inflatable playgrounds that everyone loves. Just think about the last time there was an inflatable slide for adults or even a bouncy castle and how excited you got. If you didn’t get excited, then you may need to reevaluate your life. Who doesn’t love winning prizes? We know your kids sure do! 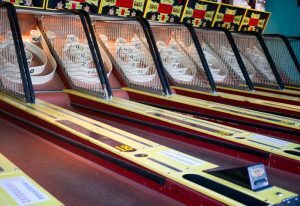 Not only is Jumpin’ Jamboree full of fun inflatables, but we also have a ton of arcade games that allow your kiddos to win tickets and win prizes! If your child gets tired of jumping around, they can spend time playing games and working towards a ton of awesome prizes. This is just one more reason why kids love Jumpin’ Jamboree, it has something for everyone! Kids love Jumpin’ Jamboree, there is no doubt about it. These are only a few of the many reasons why our indoor inflatable playground is a favorite among kiddos in the Doral and Kendall area. Whether you are looking for something to do over the weekend or you want to plan an epic birthday party for your kid, we allow walk-ins and offer party packages that can help you plan the perfect day! To learn more about Jumpin’ Jamboree, please feel free to contact us!